It’s Halloween 2011 and time for the Wolfman, Dracula, and other monsters and ghosts to have their one night of the year. And let’s not forget Egypt’s famous Halloween contribution, the Mummy, and a couple of creatures that have appeared in this column when they helped with fundraisers, the Mothman and the Yeti. Halloween means lots of candy too! In fact billions of dollars are spent on Halloween festivities. But this year please take a silent guest with you when trick or treating, or at your Halloween party. You can help one of the world’s nearly one billion hungry who on Halloween, or any other day, will hope to get maybe one meal if they are lucky. 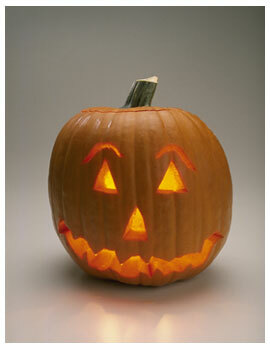 There are many ways that Halloween can be combined with fighting hunger. In fact, in 1947 students used Halloween not to collect treats but to collect canned goods for the Friendship Train that fed the hungry in war-torn Europe. On Halloween night, maybe in place of one of the treats, you could ask for a dollar to buy a week’s worth of meals for a hungry child. You can send the dollar to food aid agencies like the World Food Programme, Save the Children, Feeding America, UNICEF, Catholic Relief Services and others. Or perhaps take a few minutes after coming home from trick or treating to play a few rounds of the online game Free Rice. For every correct answer you get, rice is donated to the hungry in developing countries. There are many ways you can combine Halloween and fighting hunger. For this night is one of imagination. So the best ideas are to come: from you. Article first published as On Halloween Remember the World’s Hungry on Blogcritics.